BAGHDAD — International experts arrived in Baghdad Nov. 21 to assess the damage caused to the Darbandikhan Dam, southeast of Sulaimaniyah, as a result of the earthquake that hit Iraq and Iran on Nov. 12. 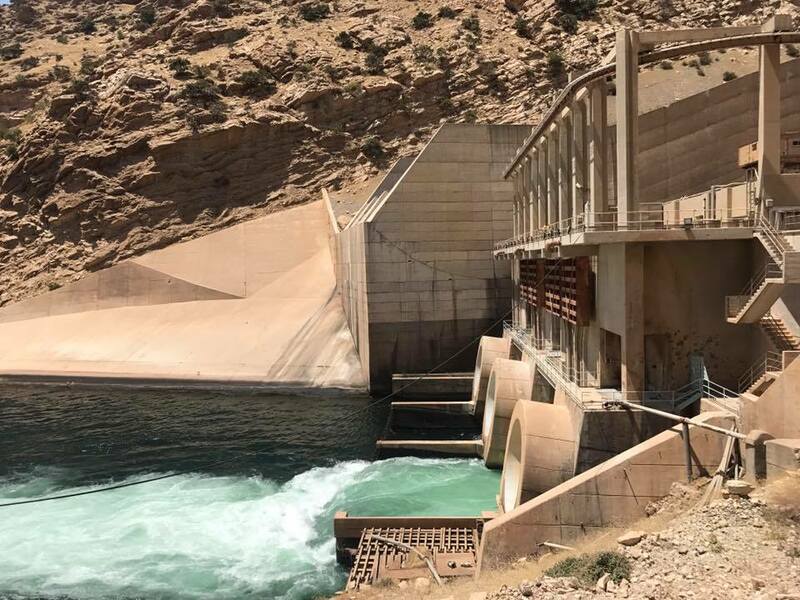 On Nov. 19, the director general of the dams in the Kurdistan Region, Akram Ahmed, called on the federal government to provide the necessary funds for the restoration of the Darbandikhan Dam. Earthquakes are not the only danger threatening dams in Iraq. Over the past years, many dams served as battlefields between the federal forces and their allies on the one hand and the Islamic State (IS) on the other. Since its invasion of Iraq in 2014, IS occupied the areas where the dams are located. On Aug. 17, 2014, US-led coalition aircraft launched a series of air raids against IS fighters near the Mosul Dam in northern Iraq. And an attack launched Dec. 14, 2016, on the Haditha Dam in western Iraq on the Euphrates River, west of Anbar province, was foiled by US intelligence agencies. He said, “The Mosul Dam on the Tigris River, the Dukan Dam on the Lower Zab River, the Darbandikhan Dam on the Diyala River, the Hamrin Dam on the Diyala River, the Adhaim Dam on the Al Uzaym River and the Haditha Dam on the Euphrates River have overcome the threat of earthquakes and escaped the dangers of terrorist groups.” However, this has not been confirmed yet officially by the ministry. Iraq’s dams are not only facing natural or human risks, there are also risks coming from neighboring countries amid increasing warnings about the collapse of giant Turkish dams due to earthquakes. “The dam will also prevent water from reaching large parts of Iraq and will reduce the level of water in Iraq,” he noted. “During the last meeting with the minister of water resources in mid-November, we asked the Iraqi prime minister to intervene with Turkish President Recep Tayyip Erdogan to find a way out of the expected crisis,” he said. Iraqi water security seems to be closely related to the safety of its local dams, and there is a need to protect them from any incidents that could harm them. There is also a need to develop quick and efficient repair techniques.